Pacific Track Time holds complimentary Orientation Classes at every trackday event. These classes are intended for first time track riders who want to educate themselves with pertinent information before safely being introduced to the track. Multiple classes are provided throughout the day as your riding skills improve. The class starts immediately after our mandatory morning riders meeting. It lasts about twenty-minutes and provides information to properly negotiate the track. Additional classes will be available throughout the day. Complimentary personal instruction is available throughout the day by our qualified staff of PTT instructors. If looking for instruction, go speak with registration and they’ll setup you up with the appropriate instructor for your skill level. Pacific Track Time has been approved by the American Federation of Motorcycles (AFM) to host their New Racer School. 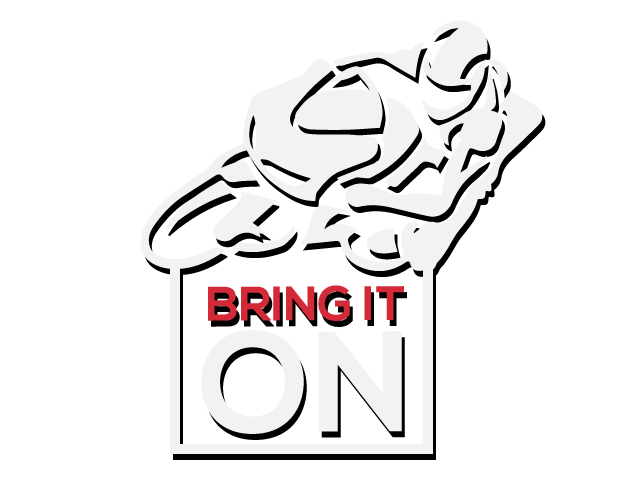 This course is for riders looking to achieve their competition race license certification. Pacific Track Time has helped introduce thousands of riders safely and comfortable to the racetrack, many of which have taken the exciting next step to racing through the AFM New Racer School. Riders looking to get their competition license for racing will sign-up for the track day and select the New Racers School option for an additional fee. The course will consist of classroom training, followed by a written test and on-track evaluation; additionally you’ll practice race starts at the end of the day providing you’ve passed the mandatory criteria without incident. Lastly, you’ll receive a certificate of completion from Pacific Track Time and will be approved to acquire your novice AFM racing license. Our expert instructors have turned novice riders into class champions in just a year! Several of these event dates offer discounted two-day deals, allowing you to ride on the first day followed by riding on the second day while attending our NRS certificate program, see our 2019 Event Schedule at https://www.pacifictracktime.com/event-sign-up for availability. We’ve had so many requests to bring our The Fast Way™ School back, that we’ve decided to pick-up an additional date on our 2019 schedule; just for you and solely dedicated to this school! Michael Earnest has developed a proven, and effective, system of techniques for all levels of riders. These are the same techniques used by leading professional racers. You will receive hours of classroom training and on track instruction all while receiving the same amount of track time as a standard track day. Our trained PTT staff will offer a high instructor to student ratio and we’ll be focusing on techniques that will greatly reduce your lap times not only at Thunderhill Raceway, but all other racetracks as well. This school is aimed at riders with track experience that are ready take the next step and learn “The Fast Way™”. Riders will be divided into three groups based on their speed and skill level. Instruction will focus on proper lines to achieve maximum drive off the corners for lower lap times. The skills you will learn have been designed to eliminate common mistakes and show you a faster, safer way around a racetrack. You will receive hours of classroom training and on track instruction all while receiving the same amount of track time as a standard track day. 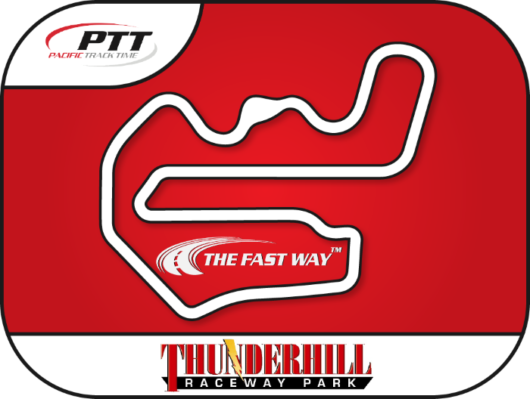 Our trained PTT staff will offer a high instructor to student ratio and we’ll be focusing on techniques that will greatly reduce your lap times not only at Thunderhill Raceway, but all other racetracks as well. This school is aimed at riders that are ready take the next step and learn “The Fast Way™”. Located about an hour north of Sacramento, Thunderhill is one of California’s busiest raceways. Thunderhill is home to many of us bay area motorcycle racers and track day riders. Contact any of these vendors via https://www.pacifictracktime.com/services/ if you have any questions or requests prior to the event. Thunderhill Raceway has a 103db sound limit that is enforced. If your bike exceeds the sound limit you will be required to exit the track and make the necessary adjustments to not exceed the 103db sound limit before re-entering. Numbers are not required, although recommended for photography purposes. 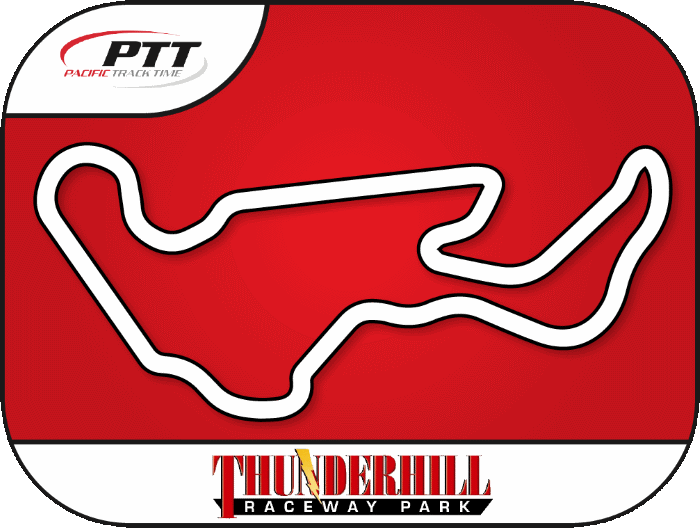 • Thunderhill Raceway offers food concessions available on-site. • On-site restrooms and showers are located near the main building with portable units in convenient locations. Camping (RV and tent) is available, the gates will be open the night before from 6:00PM to 10:00PM. Glenn (and surrounding counties) offer several hotel options, please see: https://www.thunderhill.com/track-info/lodging for Thunderhill Raceway recommendations. You can not buy more than available tickets, please try again! Camping (RV and tent) is available, the gates will be open the night before from 5:30PM to 12:00AM. World famous WeatherTech Raceway, Laguna Seca. Home for MotoGP and World Superbike, this prestigious track is incredible. Contact any of these vendors if you have any questions or requests prior to the event. Laguna Seca has a 90dB sound limit that is STRICTLY enforced. A stock exhaust system is required or an aftermarket pipe with a “dB-Killer/Quiet Insert” installed. If your bike breaks the sound limit you will be required to exit the track and make the necessary adjustments to not exceed the 90dB sound limit before re-entering. The track mandated policy is three (3) strikes and your out for the day; if your bike has an aftermarket exhaust without a “dB-Killer/Quiet Insert” installed, a single sound “strike” violation will end your day. Every bike needs a two or three digit number on left and right side, six inches tall. Duct, vinyl or electrical tape is acceptable. • The Crusin’ Cafe offers food concessions available on-site. • On-site restrooms are located in the garage/suite building. Gates open at 6:30am and close at 6:00pm. WeatherTech Laguna Seca is a strict NO drone zone, no exceptions. Garage rentals are available for $250 per day. Contact WeatherTech Raceway Laguna Seca directly for arrangements. Monterey offers several hotel options, please see: https://www.weathertechraceway.com/hotels for WeatherTech Raceway Laguna Seca recommendations. Glenn (and surrounding counties) offer several hotel options, please see: http://www.thunderhill.com/lodging/ for Thunderhill Raceway recommendations. Buttonwillow Raceway Park features an incredibly fun and challenging course. High corner speeds and technical challenges; this is the place to gain a lot of skill. Buttonwillow has a $10.00 per person gate fee on the weekends. PTT runs clockwise, using what Buttonwillow calls the #13 configuration. • Buttonwillow Raceway offers food concessions available on-site in the Tower Cafe. Camping (RV and tent) is available. Kern (and surrounding counties) offer several hotel options, please see: http://buttonwillowraceway.com/track-info/food-hotels/ for Buttonwillow Raceway recommendations. NRS is available and scheduled for Monday (10th), see https://www.pacifictracktime.com/training/ for additional details. Paddock Camping (RV and tent) is available; the gates will be open the night before from 6:00PM to 10:00PM. Most of your questions can be answered by checking our FAQ Page. If you have any immediate questions, please don’t hesitate to call us or send us an email. Copyright © 2001-2019 - Pacific Track Time, Inc.
Pacific Track Time does NOT offer refunds in the event of a cancellation. As an alternative PTT will issue a credit equal to the original purchase price of that event. Credits can be used toward any future PTT event, providing the event is not sold out at the time you sign up using the credit. As a policy, a cancellation must occur 14 days prior to the event for a full credit. Cancellations occurring within the two (2) week period will result in forfeit of payment. In the event you are unable to attend an event beyond the two week cancellation window, the rider may transfer/sell the purchased date(s) to an alternative rider. To insure registration of your alternate rider, notification must be given 24-hours prior to the event with the new riders name, contact info and rider group. Contact info@pacifictracktime.com for any cancellation, credit or rider changes. Pacific Track Time is contracted with the tracks to run rain or shine. Buttonwillow and Thunderhill have a 103dB sound limit. Sonoma has a 103dB sound limit that is STRICTLY enforced. If your bike exceeds the sound limit you will be required to exit the track and make the necessary adjustments to not exceed the 103dB sound limit before re entering. We recommend using a sound limiting insert for an aftermarket exhaust/muffler or the stock muffler. The track mandated policy is three (3) strikes and your out for the day. Laguna Seca has a 90dB sound limit that is STRICTLY enforced. A stock exhaust system is required or an aftermarket pipe with a "dB-Killer/Quiet Insert" installed. If your bike breaks the sound limit you will be required to exit the track and make the necessary adjustments to not exceed the 90dB sound limit before re-entering. The track mandated policy is three (3) strikes and your out for the day; if your bike has an aftermarket exhaust without a "dB-Killer/Quiet Insert" installed, a single sound "strike" violation will end your day. 2019 Season Pass - A substantial discounted pass reserving the riders spot at every event throughout the 2019 season. It includes all tracks and any additional events that may be added throughout the calendar year. It will also include the New Racer School to obtain a competition license if desired. Unused days/events may not be transferred to the following year. Season Passes are non-transferable and non-refundable. 2019 PTT 5-Pack Track Pass - A discounted track ticket pass for any five (5) days at all tracks (Laguna Seca and The Fast Way™ events not included) throughout the 2019 season. To register for an event using the ticket pack, simply email info@pacifictracktime.com with the riders name, event date and rider group. Please sign up early to secure a spot and avoid being placed on the wait list. Standard cancellation policy applies. Unused days/events may not be transferred to the following year. 5-Pack Track Passes are non-transferable and non-refundable. 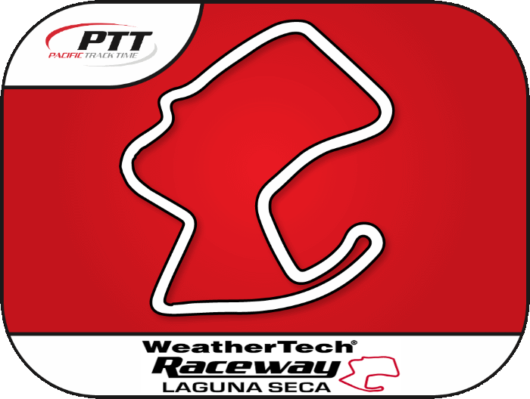 2019 PTT 10-Pack Track Pass - A discounted track ticket pass for any ten (10) days at all tracks (See requirements for Laguna Seca and The Fast Way™) throughout the 2019 season. To register for an event using the ticket pack, simply email info@pacifictracktime.com with the riders name, event date and rider group. Please sign up early to secure a spot and avoid being placed on the wait list. Standard cancellation policy applies. Unused days/events may not be transferred to the following year. 10-Pack Track Passes offer two (2) transferable tickets, all track passes are non-refundable. Laguna Seca: Laguna Seca events require the use of two (2) tickets per Laguna Seca event date (10-Pack Track Pass Only). The Fast Way™: The Fast Way events require the use of two (2) tickets per The Fast Way event date (10-Pack Track Pass Only). Note: 10-Pack Track passes offer two (2) transferable tickets, all track passes are non-refundable. See Terms and Conditions for more information. Pacific Track Time Inc. does not provide medical insurance. All riders are responsible for providing their own personal medical insurance coverage. We have very specific requirements for rider safety gear and motorcycles. For a comprehensive checklist of what is required, please see our inspections section within our 'Need to Know' page. All riders are must read and sign the Pacific Track Time Inc. "Release of Liability" waiver on the date of event during morning registration. This waiver simply states that participation in this sport is dangerous and you will not hold, Pacific Track Time Inc., their staff and/or other riders liable. All riders must attend the mandatory morning riders meeting. Non-attendees are subject to ejection from the event. All riders are responsible for their own personal medical insurance coverage. Pacific Track Time Inc. does not provide medical insurance. Reckless riding of any kind is subject to ejection from the event. Crashing–DON'T. If you do crash, the accident will be evaluated and if its determined that it was caused but reckless or unsafe riding, it will result in ejection from the day's event. If we feel it was just a simple incident and the medical staff clears you, you may repair the bike back to a condition that is safe to ride. It will be required to be reinspected by our technical staff before re-entering the racetrack. All motorcycles and safety gear must be inspected by tech inspection prior to re-entry to the track. Falsification or misuse of tech stickers (group jumping) will result in ejection from day's event. If an unregistered rider is found riding a registered rider's bike, both the registered and unregistered riders will be ejected from the day's event and banned from Pacific Track Time for the remainder of the year. Alcohol consumption and/or mind altering substances are strictly prohibited at any Pacific Track Time event. Having any medical issues that require to use such substances does not give you permission to participate. To be clear, no drugs or alcohol. Pacific Track Time reserves the right to refuse admission to any individual. Riders ejected from any Pacific Track Time event forfeit all payments/credits for that day. Pacific Track Time does not offer refunds in the event of a cancellation, there are no exceptions to this. As an alternative we issue credits equal to the original purchase price of that event. Credits for Pacific Track Time events can be used toward any event, providing the event is not sold out at the time you wish to use your credit. Per our policy, a cancellation must occur 14 days prior to the event for a full credit. Cancellations occurring within the 2-week period will result in forfeit of payment. Please be advised, Pacific Track Time administration will not break this policy, so please do not ask as there are no exceptions to the rule. To preclude forfeiture of payment, in the event you are unable to attend a track day beyond the two week cancellation window; you are allowed to transfer your purchased date(s) to alternative rider. To insure registration of your alternate attendee, you must contact the PTT office 24-hours prior to the event. This is not applicable for ticket pack holders.